When it comes to moving, you have two options: you can hire full-service movers or you can look into moving yourself. While both options are attractive, lots of people prefer to take the DIY approach. If you’re interested in moving yourself, you’re well on your way to a satisfying and exciting move. In addition to having more control over your move, DIY moves also allow you to save money and move at your own pace. They may also provide a greater sense of security and privacy for your items. First, though, you need a few helpful moving tips to get you started. The more you can purge your items before you move, the easier it will be to move them accordingly. With this in mind, donate, give away, or throw away anything you don’t need or haven’t used in a long time. 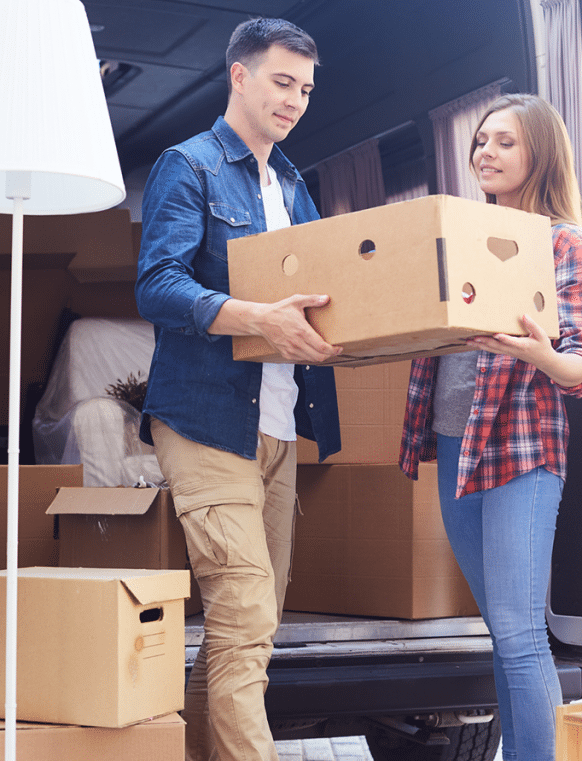 The more you can pare down your belongings, the less you’ll have to move, and the less you’ll spend on gasoline, truck space, and packing boxes. It helps to have a plan when you’re moving yourself. Instead of going willy-nilly on your house and packing at random, develop a plan of attack for dealing with your home. Start with seasonal items, move on to guest and spare rooms and bathrooms, pack up the basement and the garage, and then move into the more-used areas of your home, including your bedroom, kitchen, and bathroom. One of the biggest potential challenges of moving yourself is using the right materials. While a professional moving team has things like boxes, lifts, and tape that they’ll bring to your move site, you’ll be responsible for providing these things by yourself if you DIY your move. With this in mind, head to your local moving store and ask for recommendations about the kind of items you’ll need. A bit of professional guidance will be helpful when it comes time to choose your moving items, and having the right materials on deck will be hugely helpful when it comes to executing your move without problems. If you’ve never heard of modular moving containers, it’s worth knowing exactly how much they can benefit your DIY move. Designed to arrive at your home, be packed on your time, and be transported to your next location, our cubes are a secure, accessible way to move yourself. Move it Cube it has a wide selection of cubes to choose from, all of which are fully trackable and secure. If you’re considering moving yourself, you should know that there are many unique benefits to the process, and that most people believe the work is all worth it. DIY moves generally cost less and are more flexible than full-service moves, which makes them great for any family on a budget, or anyone who just wants a bit more control over their big transition. What’s more, moving yourself is a great option if you feel a bit funny about the concept of professional movers touching your personal belongings, or working in your home. When you move yourself, you’re the only one touching your personal items, handling your belongings, and working in your space, which is comforting for many people. Finally, moving yourself is easier than many people think, and it doesn’t mean you have to go it completely alone. In fact, you can access the help and input of professional movers without paying a full-service team to pack and transport you. 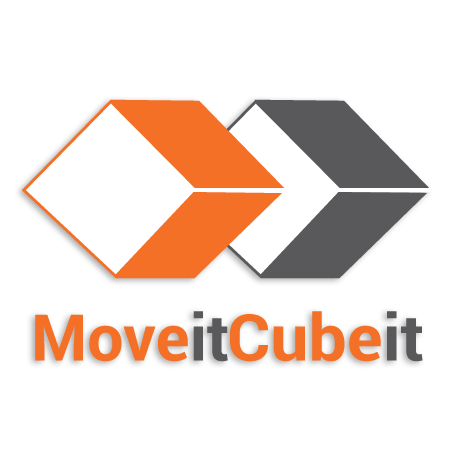 To learn more about the ins and outs of moving yourself, or to find out how our cubes can make it easy and secure, contact Move it Cube it today. Your go-to moving team, we’re here to support you during every phase of your move – from start to finish. If you have a tight schedule, you might appreciate the structure of moving at someone else’s pace. Maybe you need full-service movers to come in and hurry you through the process. If you’re moving yourself, though, you have the luxury of moving at your own pace. This, in turn, allows you to work around things like a child’s birthday, the holidays, or work schedules for you or your partner. For many people, this benefit is worth the additional work associated with moving yourself and can go a long way toward making the process more compelling and attractive.